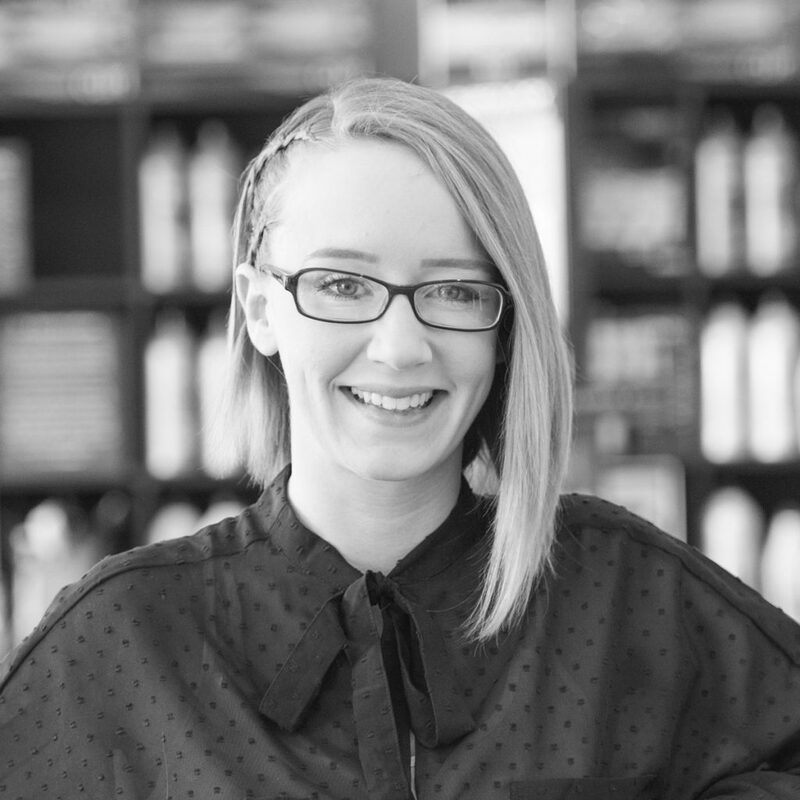 Jenna is one of the first faces you’ll see when visiting the salon – and for good reason. She’s got an incredible (and natural) knack for customer service – especially for putting out fires. Here’s the catch: she’s so good, she basically prevents the fires, kid you not. Chatting with her, working with her, being taken care of by her – it all feels like hanging with a family member who really cares about you, and we’re grateful for how well she takes care of our guests, and how much easier she makes all our lives. She enjoys walking and rollerblading on the riverfront, watching way too much Netflix with her boyfriend and grocery shopping. Adulting isn’t actually that hard, after all. A fun fact we love about her: Her middle name is “Dale,” the same as her grandpa’s, who she also shares a birthday with. Every year they go out celebrate together, and we can’t think of anything more precious. Her work ethic is a force to be reckoned with, and she approaches every challenge ready and willing to learn, and grow. Not a bad person to have at our front desk, and in our corner. Want to join Jenna at Shannon Aleksandr?